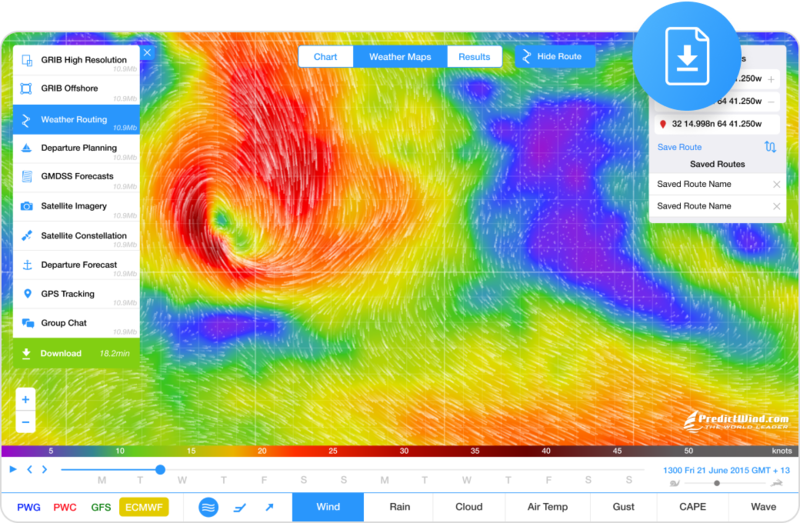 Get the best quality forecasts and weather tools powered by the high resolution proprietary PWG & PWE forecast models. Take your forecast service to the next level. This is the #1 requirement for a forecast service. 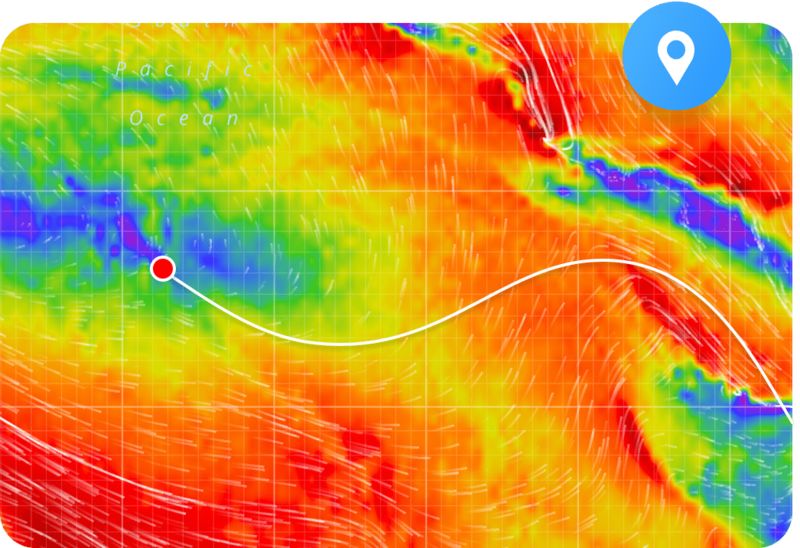 PredictWind is the only company in the world that runs its own global weather model at 50km resolution with 2 sources. In addition, 1km & 8km resolution forecasts are generated for popular regions around the world. These forecasts (PWG & PWE) can only be found at PredictWind. In addition, we distribute the ECMWF forecast data which is run globally at 9km resolution. Scientific papers show the ECMWF model is the #1 rated model from a national weather service. ECMWF data has a very high acquisition cost, so this data is not available on Passage weather. In May, PredictWind will be adding weather data from the UKMO. This model is rated #2 in the world. This data is also not available on Passage Weather. PredictWind also makes available the GFS model, rated #3 in the world and also found on Passage Weather. Passage weather offers a mobile website/low bandwidth for users on slow internet connections. However, this site only provides weather images (still quite large), rather than highly compressed GRIB data, which is a fraction of the file size. 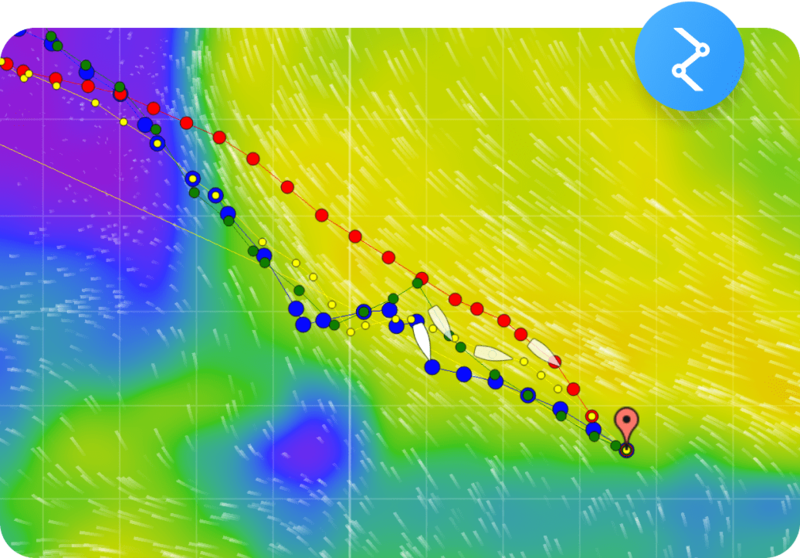 GRIB data from PredictWind can be viewed in the free PredictWind GRIB viewer available on PC/Mac/iOS/Android devices. The PredictWind GRIB viewer has full integration with most satellite systems on the market to allow seamless download and display of the weather data. It is not practical to view a low bandwidth website on a low-speed Satellite phone connection. Once set up it is a 1 click operation to get weather routing results for all 4 weather models: PWG/PWE/GFS/ECMWF. The file size for weather routing are 1% (or even less) of the equivalent GRIB files. On a Satellite connection, this is a huge saving in time and money for downloads. 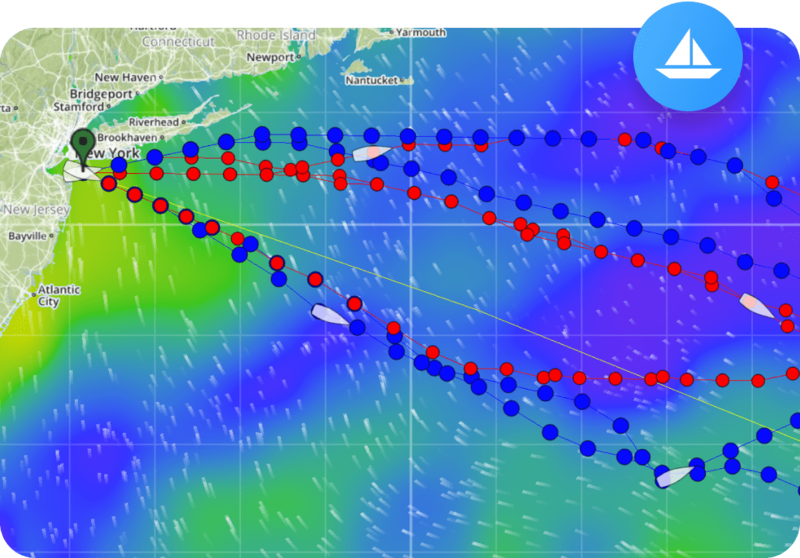 Not only an instant comparison of routes but an instant comparison of all 4 weather forecasts with results in the graphs section. Users can compare forecast data from 4 of the top weather models for a higher confidence level in the forecast. Often due to bandwidth considerations, users only download 1 weather model in an offline weather routing set up. In our opinion, it is dangerous to rely on only 1 forecast. Users should be getting 4 forecasts every 12 hours. With only a 10KB download this is possible with PredictWind. 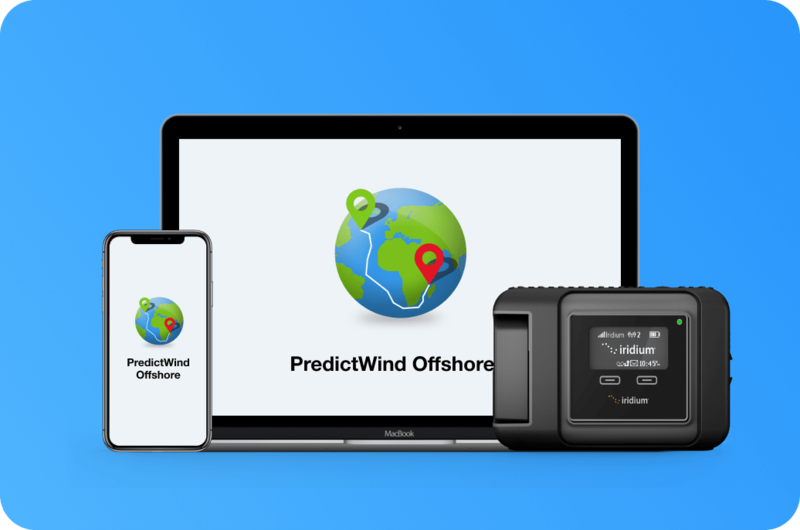 PredictWind offer a free GPS tracking service with the Standard/Pro packages of PredictWind. Use your Iridium GO for automated tracking, or do manual tracking updates. Blog updates with photos can be added to your tracking page. Friends and family can share the journey, and see your track with the latest weather conditions overlaid. The most popular package for cruising boats is the standard package at US$249 per year. This is only 68 cents per day. We offer a 3-month satisfaction guarantee. Make the switch to PredictWind today!